The Youth Olympic Games is the latest challenge for the accomplished 16-year-old. There is a spot in her Minnesota home where Paige Bueckers keeps an impressive haul of trophies and awards from her various accomplishments in sports and other endeavors. Two gold medals and a national championship trophy are what she has to show from her participation with USA Basketball. Not bad for a 16-year-old. Bueckers credits her parents, Amy Dettbarn and Bob Bueckers, not only for getting her started down this path way back when she was 5, but also for keeping her grounded and focused on improvement and meeting new goals while never allowing her ego to get too big. Bueckers will have another opportunity to win gold later this month when she competes at the 2018 Youth Olympic Games in Buenos Aires, Argentina. 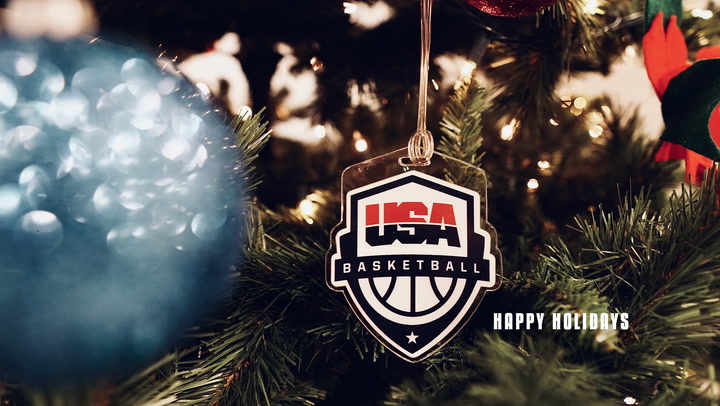 She is on a 3x3 USA Team with Aliyah Boston, Samantha Brunelle and Hailey Van Lith, a squad that won the 2018 USA Basketball 3x3 U18 National Championship in the spring, which qualified them to represent the USA at the Youth Olympic Games. Going 4-0 in Group B preliminary play, the USA women will continue to pursue their gold medal dream and play Tuesday in the medql round quarterfinals. Bueckers said her dad used to take her to the park near her house to shoot when she was younger. When the weather wasn’t cooperating, or they didn’t have time for a trip to the park, he would take her into the garage to work on dribbling. That early skill work helped develop one of the class of 2020’s top-rated guards. Bueckers, a junior at Hopkins High School, is capable of playing both guard positions. She sees herself as a combination guard, even if others label her as a point guard. 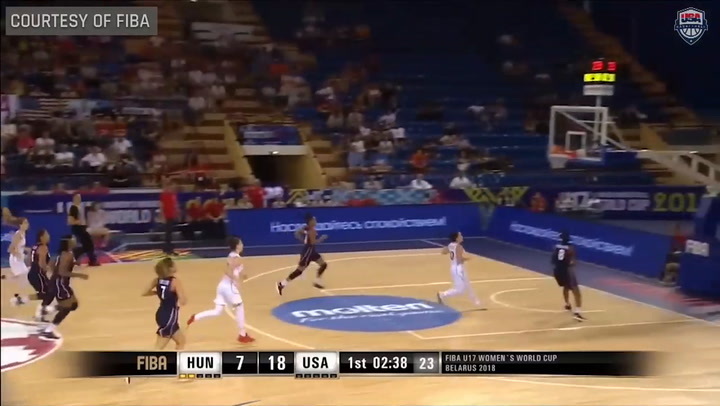 During the USA U17 women’s gold-medal game win over France this summer at the FIBA U17 World Cup, all of her skills were on display as she finished with eight points, seven rebounds and a U.S. women’s U17 single-game record-tying 10 assists. Bueckers said 3x3 is fun, because it is more wide-open than the five-on-five game, and it also features plenty of opportunities to go one-on-one with opponents. The fun, however, is somewhat offset by the challenge of it. Bueckers said playing 3x3 requires participants to be in great shape with stamina to spare. In Bueckers' experience playing internationally in Argentina, Latvia and Belarus with 12-member USA national teams, she has noticed the athletes she competes against from other countries are often older, bigger and stronger than she is at 5-foot-11 and 140 pounds, which means she has to be at her best. Bueckers said other countries often use players at the age cut off. In the upcoming Youth Olympic Games, which run Oct. 6-18, players are at the U18 level, meaning they could be freshmen in college. 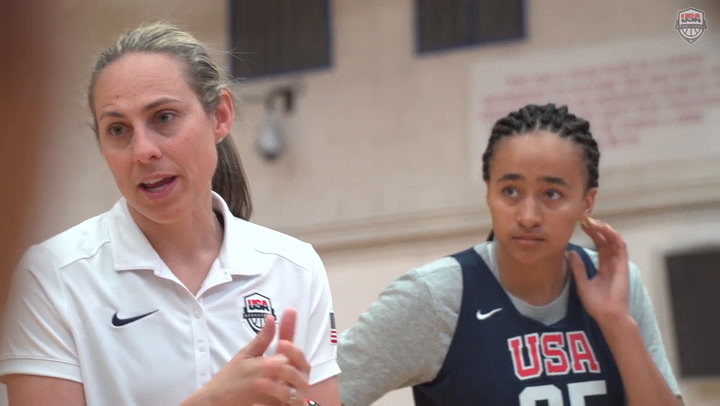 USA Basketball officials have tried to help Bueckers and her teammates prepare by providing male practice players to train against. The team also recently entered and won a tournament in Spokane, Washington, in which they played in the adult women’s division. Training has been a seven-day-a-week routine for Bueckers of late. She works out in the gym three days a week, works out with her Hopkins team on three more days and, on Sundays she plays games. Bueckers said she and her Youth Olympic Games teammates encourage each other and stay in touch via text messaging and social media. She said when they are together again in Argentina, they probably will spend some time training with the men’s 3x3 team. It’s something that has happened at other events. It’s that kind of confidence and ability to not take herself too seriously that has brought Bueckers this far. 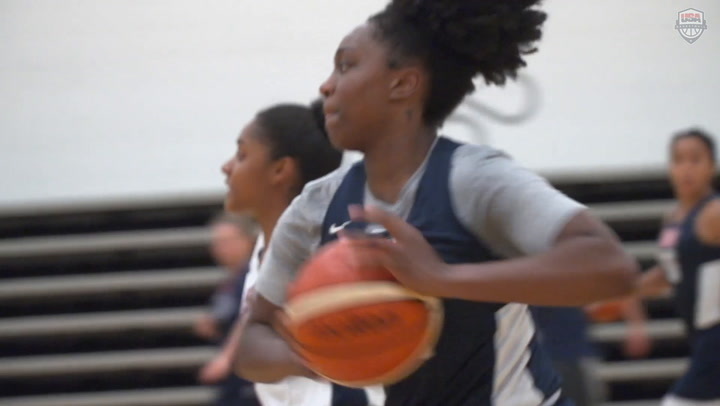 She is hoping somewhere down the line to eventually work her way into a position on the USA Women’s National Team and a chance to play for an Olympic gold medal. Bueckers has learned she is capable of just about anything she puts her mind to. So why not put the target as high as it can go and try to reach it?